Abe's Free Blog: Hit Start! So why picking that name... Abe! 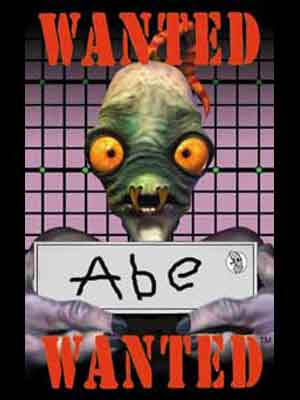 On child age, i was playing a game calling Abe's Oddworld and Abe's Exodus. The main character of the game was Abe! There was a world that all are slaves and working on (dont know what) a planet that a group of 3 or 4 guys rule's it.